Texas is one of nine community property states. This means spouses own property acquired after the date of marriage in equal shares, regardless of which spouse actually holds title to it. However, property given to one spouse during the marriage as a gift or inheritance is excluded from this rule. It is considered the separate property of the spouse who received it and is not divisible in divorce. The same holds true for property a spouse acquired before the marriage. Since pensions are considered property, a Texas court may divide the proceeds if any portion was earned during your marriage. After a court identifies your community property, it begins the process of dividing it between you and your spouse. Typically, Texas courts set aside pensions until the end of this process because the court will consider the amount of other community property awarded to the non-participant spouse when making the calculation. Texas law follows community property principles, but it has some unique variations. The court begins with the premise that community property should be divided equally. However, it will consider additional factors as well to ensure that the end result is "fair and just." This may cause an uneven split. Such factors include each spouse's age, education level and earning capacity, length of the marriage, whether one spouse serves as the children's primary caregiver, marital fault, and value of any separate property. These same factors apply to the portion of your pension earned during the marriage, including any interest. If the pension began before the marriage, the court is likely to award less to your spouse. After the court determines how much of your pension your spouse is to receive, it will execute a Qualified Domestic Relations Order. This QDRO must be delivered to the plan administrator because pensions can only be divided using this instrument. To be valid, the QDRO must contain certain information, including the addresses of both you and your spouse, the name of each plan the order applies to, and the amount or percentage to be paid to your spouse, commonly called the alternate payee. The QDRO must also set forth the number of payments, or the time period to which it applies. After the plan administrator accepts and approves the QDRO, this authorizes payments to your spouse. When she may actually withdraw those funds depends on the type of pension involved. Some defined contribution plans allow lump sum payments; your spouse may be able to withdraw her funds at the time the QDRO is approved and accepted. Most defined benefit plans will only issue monthly payments. If your plan does not permit immediate withdrawals, your spouse must wait until you retire or reach retirement age before she can receive her share of the proceeds. A Qualified Domestic Relations Order, or QDRO, is not always necessary in a marriage dissolution. A QDRO is required when a divorce court awards part of one spouse's employer-provided retirement plan to the other spouse. 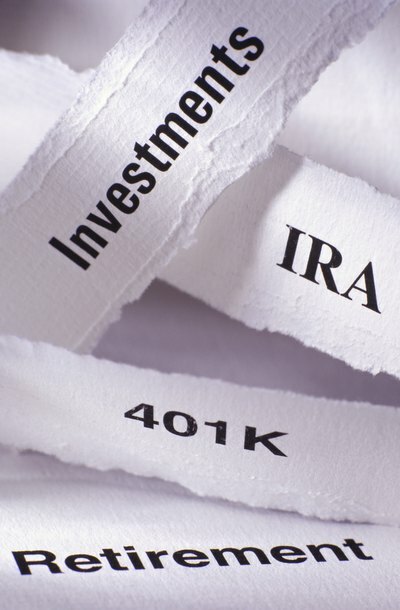 If the divorce court doesn't divide the employer-provided retirement plan, or the retirement plan isn't provided by the employer, you won't need a QDRO for your divorce.